hihi ! 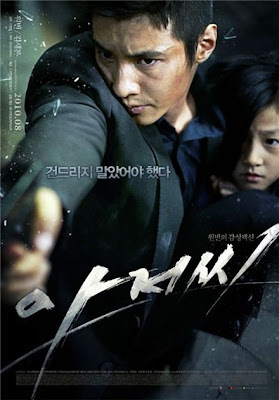 This time, I am doing a Korean Movie Review. Which is really rare for me. 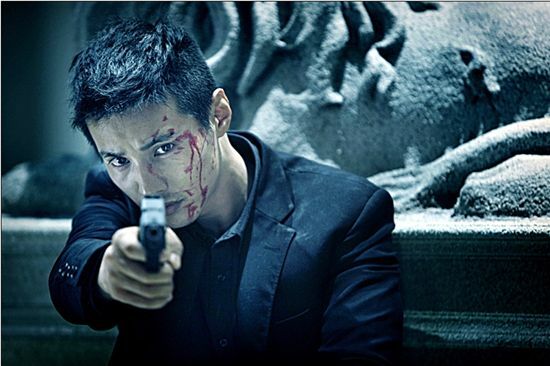 Usually I don’t like Asian movies that much because the plots are always similar about gangsters & cops, or it would be lame comedy or lame romantic movies. I think this might be the first time that I watch Korean movie though, & I am glad that I watched it! The beginning of the movie seems like a typical Asian movie flow... it’s still about gangster & cops. But this time the cops are not the main characters & “ the man” have a protected secret that even cops don’t have the access to. Other than the usual money and drugs, this time the children are involved. Which made the movie that much more touching. After watching the movie I do feel a little sad knowing that there must be some children out there who are in the same situation as the children in the movie. It’s not an unbelievable situation. Do you like movies from other countries? i like watching movies from other countries. Is the guy Won Bin? Used to love this guy because he resembles my boyfriend at the time lol and nice review! I do love Asian dramas haha, but you're right saying that they all share a very similar trama; that's kinda boring sometimes. BTW, about the language of my blog; i don't write the entries in both languages because of the time, but i promise i´ll try to dedicate more time to the blog. Meanwhile, you can use the translator on the side bar n_n! Hi Hitomi! You've got a really sweet blog. Thank you for following me! @★Mel OOO yeah stupid me.. I used the translation thing on ur blog. I can finally understand now! haha.. although I tried the translation on my blog & of course it’s not always accurate ~ but i guess for the most part it still makes sense! Oh, and have you checked out my $75 EmersonMade GIVEAWAY yet? ?